We are one of the foremost firms of TDS Return Filing Service. These services are enormously well-liked in the market for their nominal rates and consistency. Due to high demand, we render these services in diverse terms and forms. Besides, we render these services at nominal costs to our customers. To meet the varying needs of customers, we are engaged in providing TDS Return Service. This service provided by us is used in income tax departments and many more application areas. Our experts provide services to handle process of preparing and filing TDS Returns. Besides these, we provide services to the patrons at industry leading prices and known for its effectiveness. Enriched with vast industrial practice, we are involved in offering TDS Return Service. Owing to timely completion, these are vastly well-liked by customers. For this service, we selected expert’s team who has affluent industry practice and proficiency. Moreover, we render this service as per client’s demand. We are rendering E-TDS Return Services to our patrons. Due to prompt completion, our offered service is extremely admired in the market. Our service meets on client’s demand. Moreover, we render this service as per patron’s demand. With the in-depth understanding of this business industry, we are captivated in providing TDS Return Services to our patrons. Our personnel’ commitment and knowledge helps us to meet the thorough needs of the patrons within the specified period of time. We have skillful employees, who provide these services in agreement with the definite guidelines. We are having experts and professionals in the field of filing returns with updated knowledge of all the changes made in the relevant field.The services are being offered keeping in mind the budget constraints of the client. Providing of employees Tax calculation sheet thru e-mail.Liaise with HR/Accounts dept. 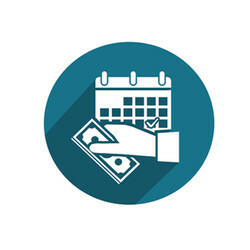 to ensure that tax saving investments and supporting have been properly declared/provided by the employees and also checking the validity of documents provided by the employees for tax saving. 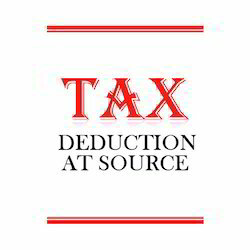 - Providing of employees Tax calculation sheet thru e-mail. - Liaise with HR/Accounts dept. to ensure that tax saving investments and supporting have been properly declared/provided by the employees and also checking the validity of documents provided by the employees for tax saving.